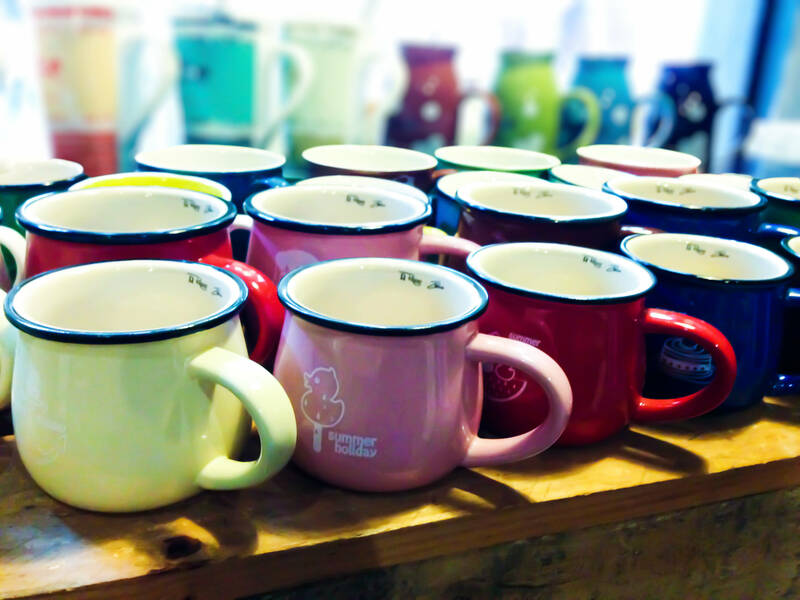 I went to the little shop called “The gioi Décor’ because it has many beautiful cups and mugs. I saw them on facebook and they looked very cute, so I decided to went there directly. 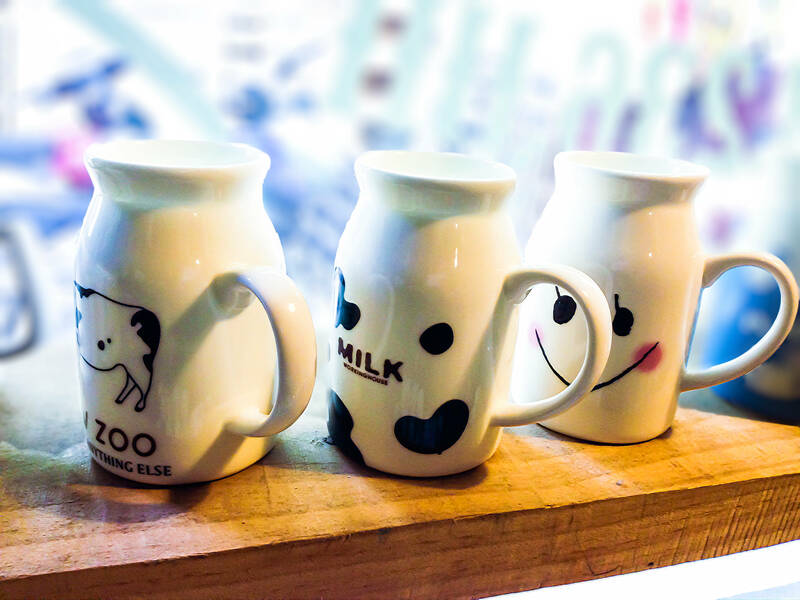 I especially fall in love with the milk mugs. 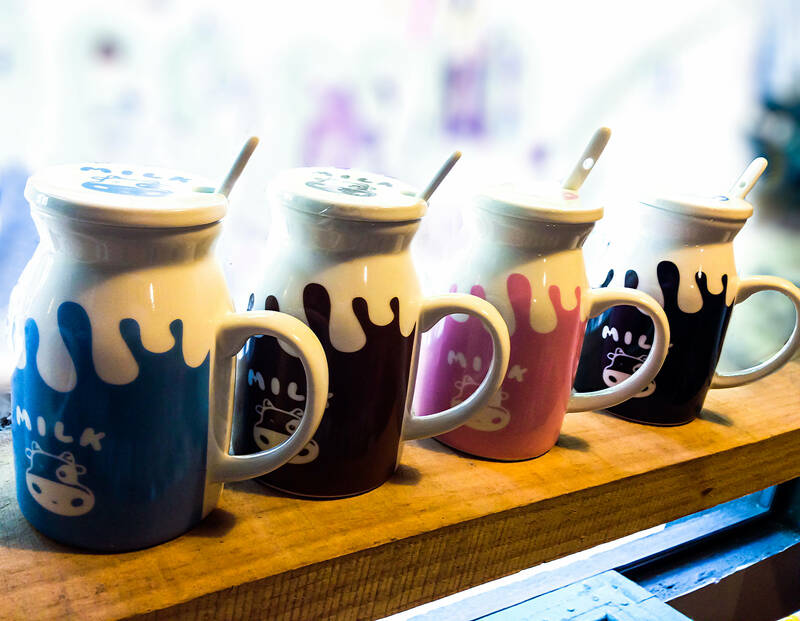 The mugs take inspiration from the design of the milk jugs. 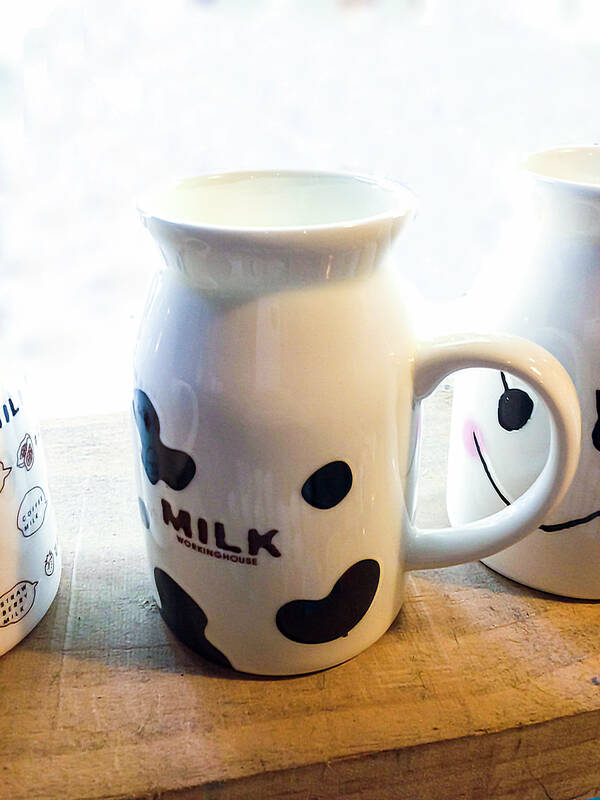 The spots of a cow add more cuteness to the mugs. 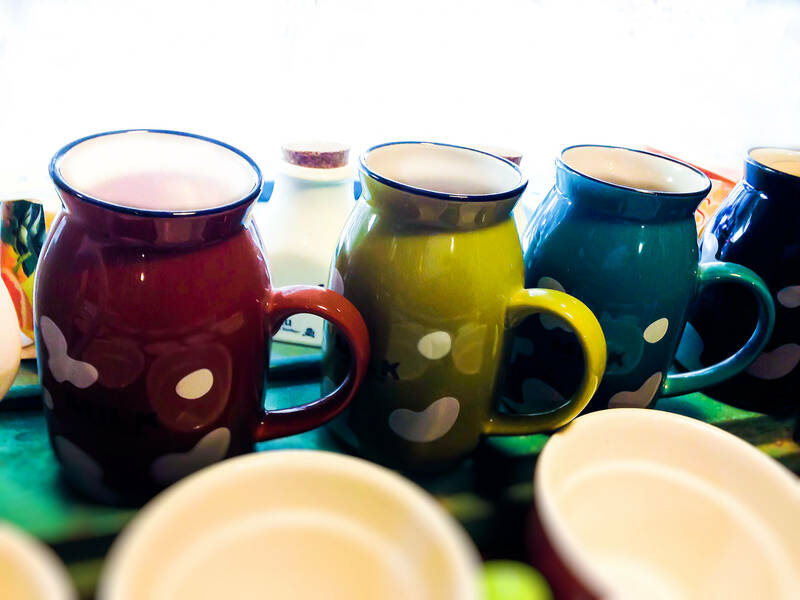 Another pattern is the splash of milk on the mugs. 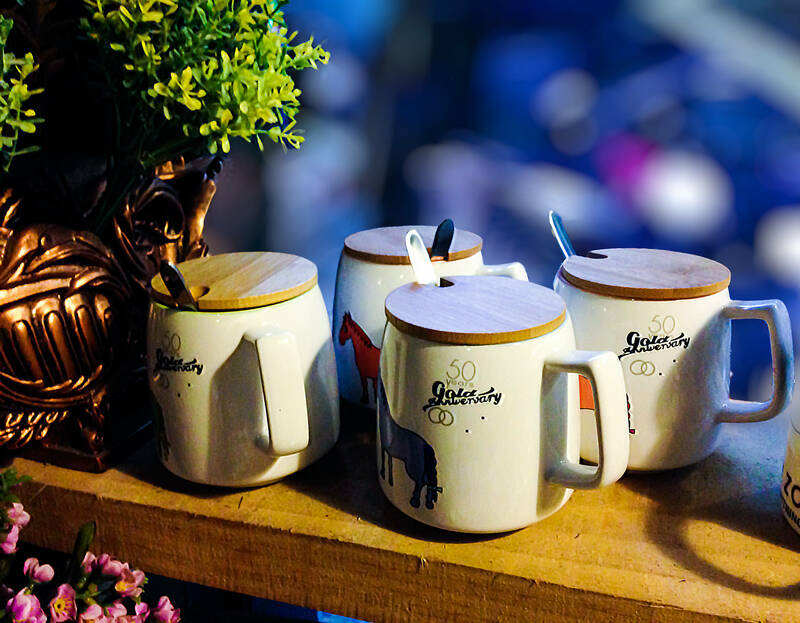 This design brings a fresh and cool look to the drinkers. 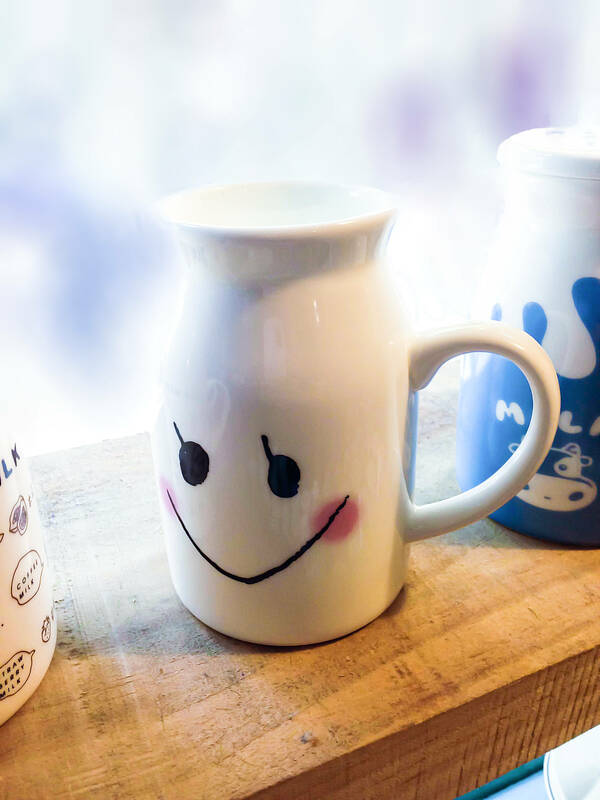 It’s such a great feeling to start a morning with a hot mug of milk or coffee. 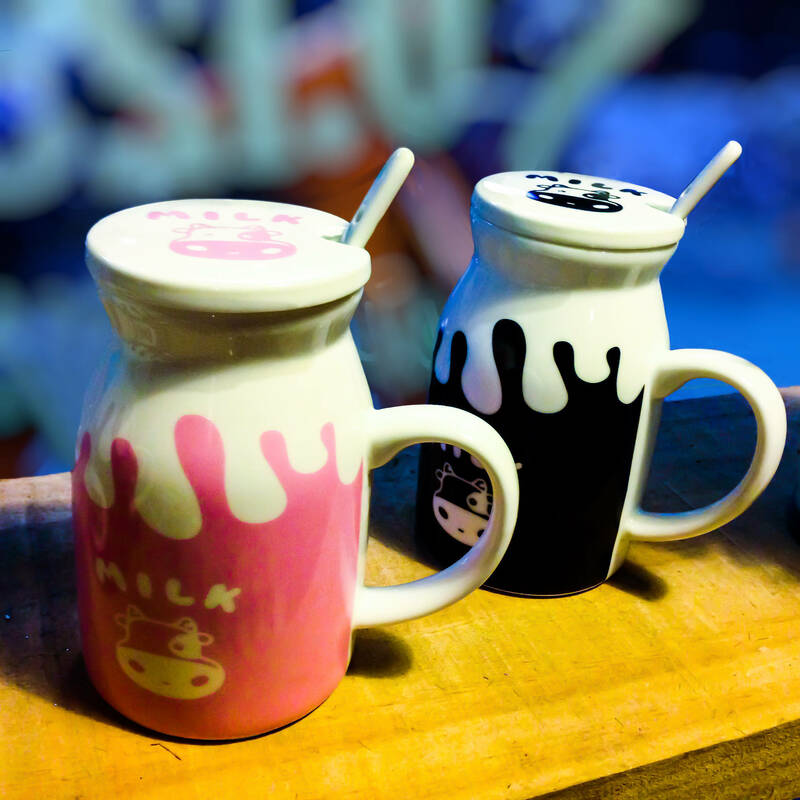 I think this type of mug will enhance the taste of milk and encourage the kids to drink more milk. 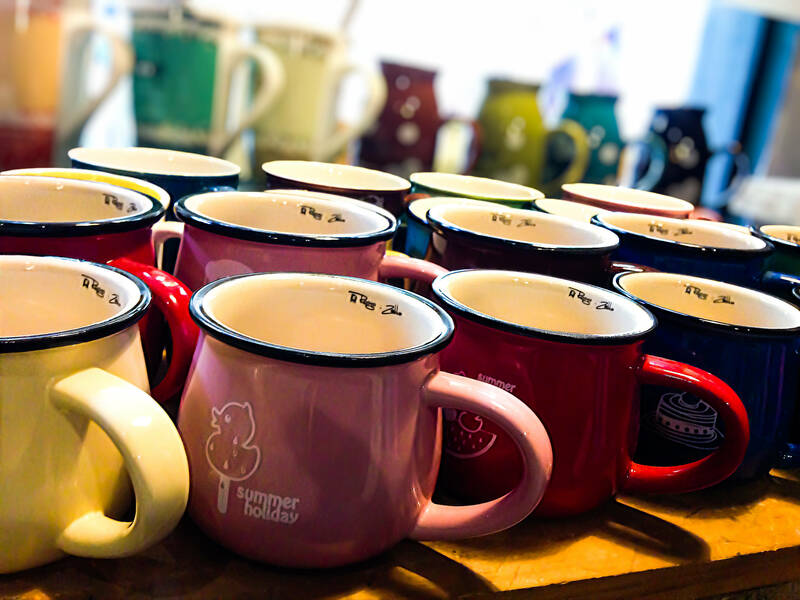 But in fact, I have a habit of collecting mugs to make them the pen or pencil holders. 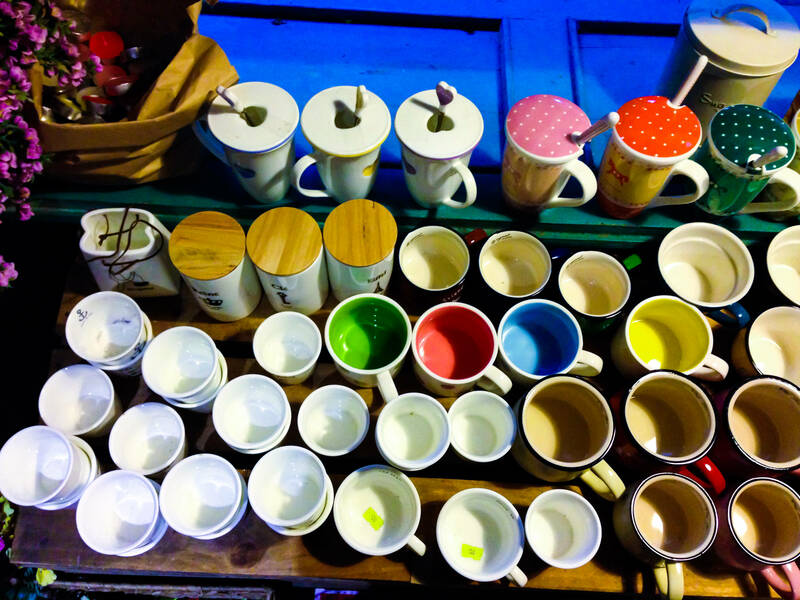 I have a lot of pen, pencils, highlighters and crayons, so I often put them into the cups or mugs. 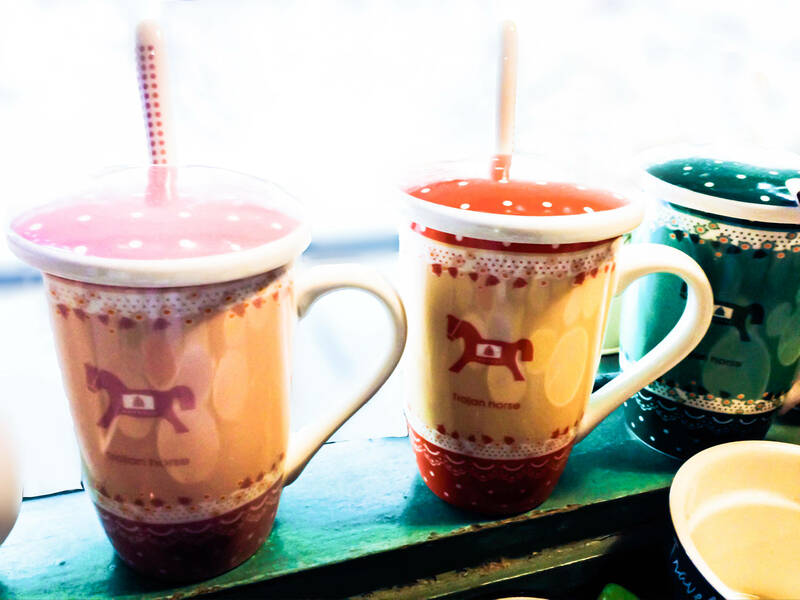 I love seeing the colourful pens in the cute mugs so much. 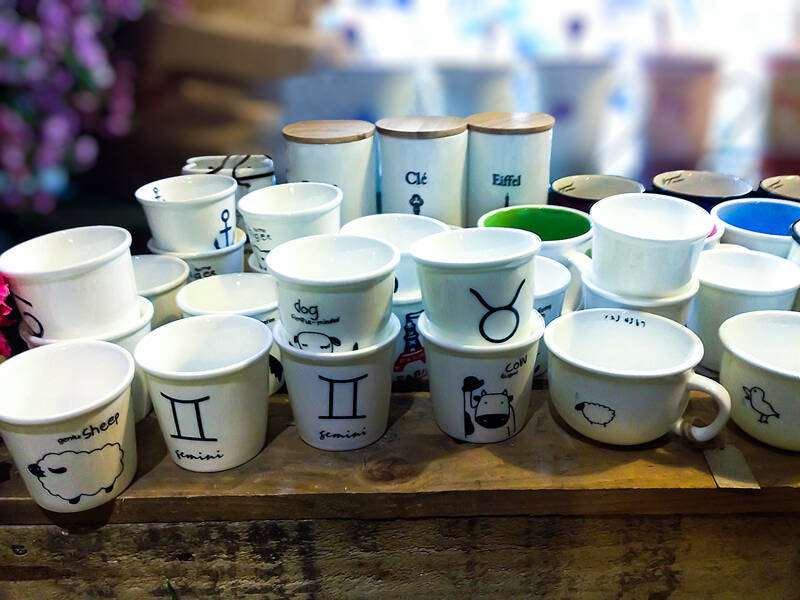 I want all these mugs! Super cute! 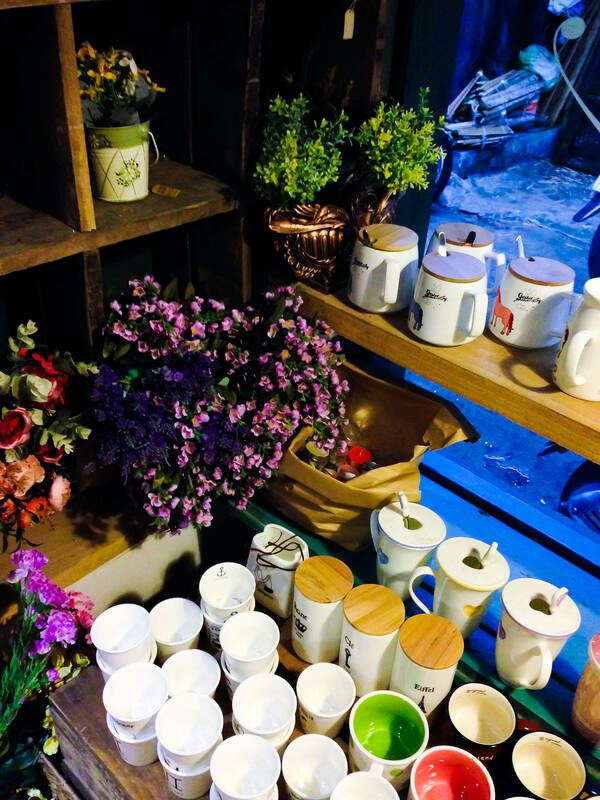 Looks like this shop is a must-see in Vietnam. 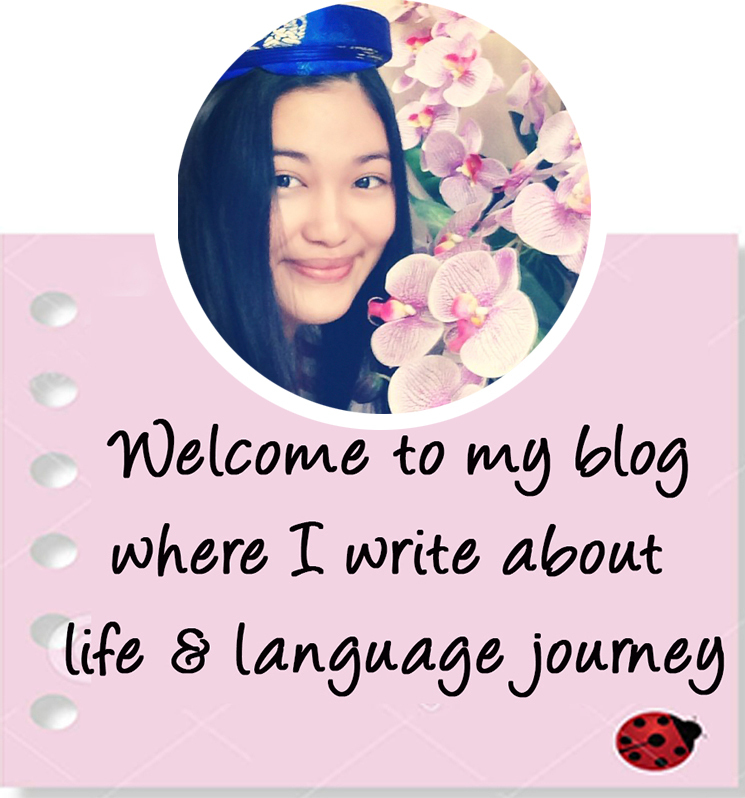 I’m so glad to come across your blog. Thanks for all the pretty photos! Thank you for your comment. This place is full of lovely decorations.